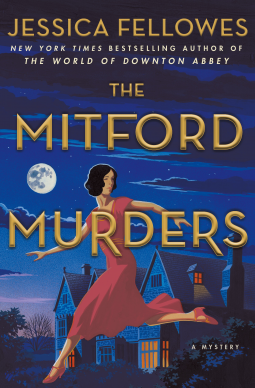 Now in Paperback: The Mitford Murders by Fellowes – Joyce's mystery and fiction book reviews with some non-fiction too! This book comes with an excellent pedigree. Jessica Fellowes, daughter of Julian and Downton Abbey fame, is a writer in her own right. The Mitford Sisters who led fascinating lives and are the subjects of many books are the children of the book, while Nancy is the protagonist. The setting is Britain, the time is after WWI so all of the elements are in place. Despite this however, I found the book to be good but not extraordinary. There is a mix of romance, mystery, secrets from the war, questions of identity and yet to my disappointment, it was not a five star book. This is the start of the series; I will hope the next book is just a little bit better. I had the same thoughts about this book. It was okay, but nothing extraordinary. Though, like you, I’ll probably read the next book to see if it’s better.